If little Jimmy takes his friend’s toy, we tell him to give it back and say sorry. Audrey gets a time-out for not listening to mummy, and at the end of it she must apologise for misbehaving. 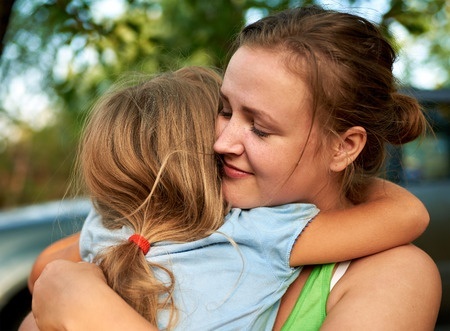 Most kids are familiar with the act of saying sorry – their parents make sure of it. But are these same parents familiar with saying sorry to their own kids? Growing up, I never heard the words “I’m sorry” come out of my parents’ mouths. I heard my mum say it to my dad for being late, and my dad said it to his friend for not being able to attend his wedding, but to us? Not a chance. If they were an hour late picking us up from school, they had a good reason. If they broke a promise, it couldn’t be helped. If they blamed one of us for something that the other did, the mix up was dealt with but not apologised for. If they yelled at us, it was because we provoked them. But if we yelled back, we had to say sorry – many, many times. The thing is, I don’t recall ever expecting my parents to apologise for anything. It just wasn’t done. They weren’t bad parents – in fact, they were supportive and generous and always put us first. But saying sorry just wasn’t part of the deal. Frankly, it would have been weird if they apologised to me for anything. All of us would have felt uncomfortable and a bit awkward. Why? Perhaps it just wasn’t part of our culture for adults, parents and authority figures to apologise to children. We were supposed to respect those older than us. Some parents viewed saying sorry to their kids as a sign of weakness. In many families today, this still rings true. It just doesn’t happen to be true in my family, the one where I’m mum to three-year-old Chloe. I’m an emotional and impatient person by nature. But when you have a kid, it’s essential to be as patient and calm as possible because someone very small is looking to you for guidance. My someone very small can really test my patience though. Like when she takes two and a half hours to fall asleep. Or when she does the exact opposite of what I ask. Or when she runs like wild in a crowded mall – farther away each time I call her – only to crash right into someone’s knees. There have been moments when I lost my patience and yelled at her, louder than I had to, and even as the angry admonishments flew out of my mouth, I knew I would regret them later. Because over and over again I have told her that when she says or asks for something, she must “Say it nicely. No yelling, no screaming.” And yet there I was, losing my temper, perhaps even scaring her by my volume – and going against my own words. Is it possible that we expect too much from our children? From our actions, it would appear that we expect our children to never have bad days, to never be in a bad mood, to never be irritable, sleep-deprived, sour or rebellious. And yet as adults, we experience these feelings all the time. Could we be holding unrealistic expectations and punishing our children for falling short of them? 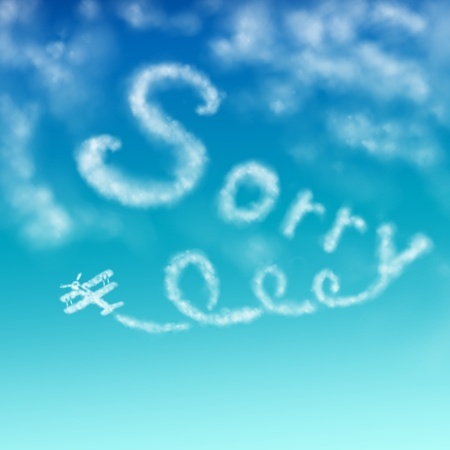 I never consciously made a choice to say sorry to my daughter. It just felt like the right thing to do after I treated her in a way I wasn’t proud of. In a way I knew was wrong. “I’m sorry. Can you forgive me?” I’d say. And she’d always say yes. Apologising for being wrong doesn’t mean you’re a weak parent. As your kids grow older, they’ll recognise more instances where you’re doing the very thing you taught them not to, whether it’s breaking a promise or saying a bad word. And if you don’t acknowledge that you acted wrongly, what message are you sending to your child? A mixed one. When you say sorry to your kids, you’re also letting them know that it’s okay to make mistakes sometimes. No one is perfect. Those who admit wrongdoing and make amends show bravery. That’s right – it takes strength to apologise. It’s got nothing to do with weakness. This marks the end of our ‘Value’ series. For the past articles in this series, click on the related posts below.